Incorporating healthy meals is tough sometimes, especially if you have a bacon fanatic for a husband. Well, I love bacon too but hey, I would like to think that I can eat in moderation. It's gotten to the point where the guys at the cafeteria at work know the two of us and our breakfast eating habits. Long story short, the hubby doesn't really eat his veggies unless I make them. Well, he's alright but still, it's an effort. Unless I stick it in front of his face during meals, he'll kind of "forget" to eat them. The following super easy and straight forward recipe is one of my compromises to this situation. Plus, it makes for a fantastic dinner party appetizer. 1) Trim the Asparagus Spears to remove the woody ends. If you have furry pups that enjoy a healthy and hearty treat, I have another Easy Recipes: Baked Asparagus Dog Treats that utilizes the woody ends. 2) Preheat oven to 375F. 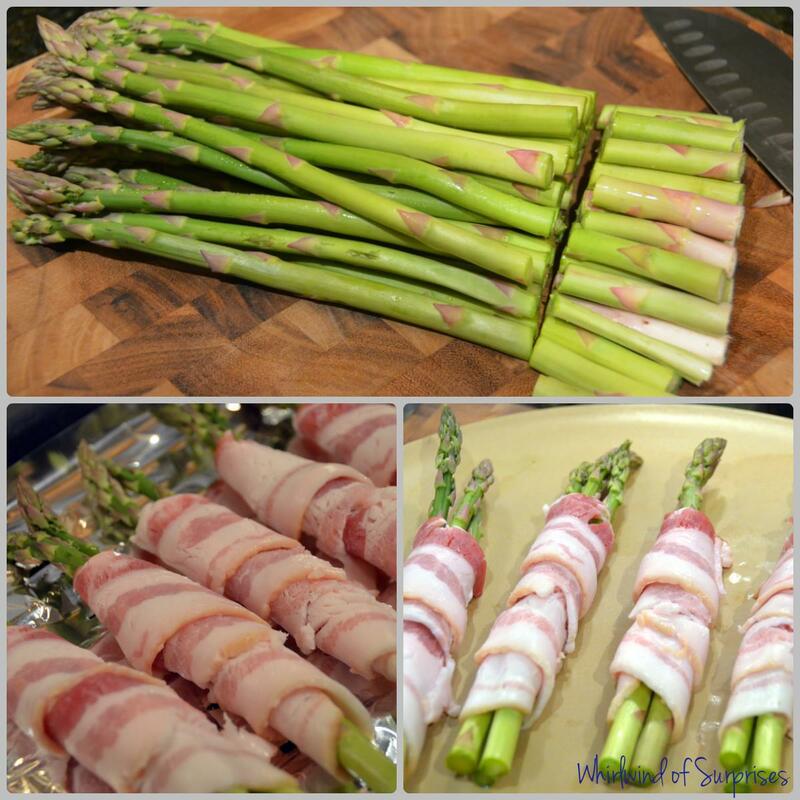 3) Wrap mini bundles of 2-3 Asparagus Tips with 1 slice of bacon. 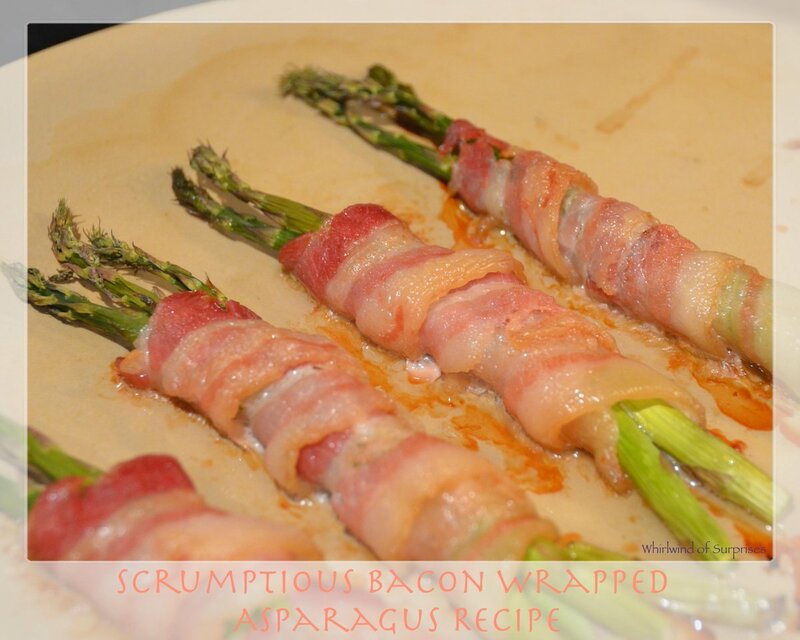 4) Bake for 20 minutes or until bacon crisp and bundles tender. If you have a slotted broiler pan, use it to help drain the oil as it bakes. Cooking time may differ for different ovens. Try it out and let me know what you think? I can tell you my hubby loved this and devoured the plate, not even leaving a crumb! Serve it at a party as an appetizer, you'll be the star of the party! Love this? Check out our other deliciously easy recipes.